The way we parent shapes our relationship with our children, and our relationship with our children shapes our lives. When Lawrence J Cohen’s book, Playful Parenting was first published in 2001, it quickly became a bestseller, and gained a reputation as the ultimate guide to positive parenting. Cohen advocates play as a valuable way to connect with your children, and it can take many forms. Playful parenting can be about getting in the ball pit or bringing out the snakes and ladders, but it can also be about attitude. When my children were very young, I found that adopting a playful attitude to parenting was the best way to get through each day with my sanity (mostly) intact. There have been times when a small dose of playfulness has recharged my energy, reduced my stress levels and helped make parenting a more fulfilling experience. 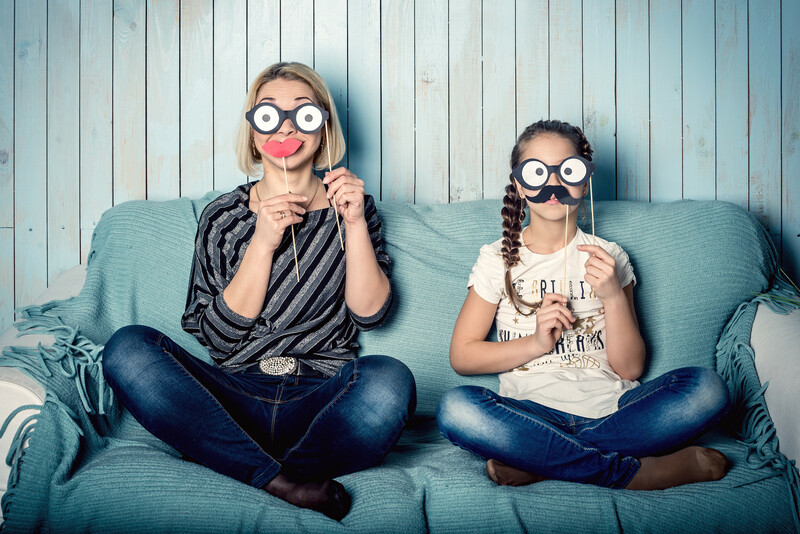 In a society where many parents feel disconnected, disrespected and isolated from their kids, the simple act of getting playful with your children can help strengthen and deepen your bond with them. As parents, we tend to encourage independent play, and love to see our children playing happily with friends and siblings. This type of play is valuable, but taking time out to have fun with our children can be the most important part of our parenting day. Here’s why. Whether we’re making mud pies, flying a kite or playing a computer game, play helps us to connect with our children, build and develop our relationship with them, and present ourselves as someone they can feel relaxed and secure with. Small children respect adults who dig holes and aren’t afraid to pick up earthworms much more than adults who stand by telling them not to get dirty and to put down that earthworm. When was the last time you heard a child telling someone how awesome, smart or brave his dad is because he supervises from a distance and tells him what to do? Families that play together tend to laugh together. Daily play, along with a general playful attitude, can lighten the mood in the toughest situations. I realized long ago that I could argue with my toddler about getting in the car RIGHT NOW, or I could pick him up, throw him in the air, put him over my shoulder and carry him to the car squealing with delight (and have him strapped into his car seat while he was still giggling). Most parents know they should give praise and positive reinforcement, but this can sound forced and insincere when done the wrong way. Children need positive attention that comes naturally. When they win a board game, build a fantastic tower of blocks, or create something cool with paint or modeling clay, praise and positivity come naturally. “If they don’t think we will play, they may not even ask. They just go about their business, and we go about ours, and we all miss chance after chance to reconnect.” If you find you’re managing your children rather than enjoying them and truly connecting with them, adopting an attitude of playfulness can give you a whole different experience of parenting, and give your children a very different view of you. Karen Banes is a freelance writer and home schooling parent with a degree in Child and Family Studies and a passionate interest in child development. See more of her work at KarenBanes.com.